Duke closes out the regular season by hosting Wake Forest on Saturday, November 24. Kickoff is set for 12:30 p.m.
Duke will celebrate Senior Day and 18 student-athletes will be recognized prior to kickoff: C Clark Bulleit, RB Griffin Carter, S Brandon Feamster, LB Kevin Gehsmann, OG/C Zach Harmon, OT Christian Harris, S Jordan Hayes, TE Daniel Helm, LB Ben Humphreys, TE Davis Koppenhaver, WR Trevon Lee, WR Johnathan Lloyd, S Jeremy McDuffie, DE Twazanga Mugala, RB Nicodem Pierre, WR T.J. Rahming, WR Chris Taylor and K Collin Wareham. Saturday’s game will mark the 99th on the gridiron between the two schools, with Duke holding a 58- 38-2 series advantage. The series began in 1889 with a 32-0 Wake Forest win. 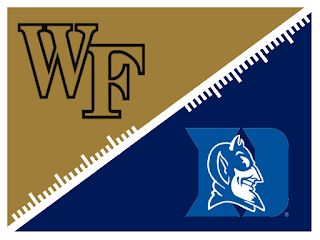 Wake Forest and Duke have met in every season since 1967 and every year since 1921 with the exception of 1943 and 1966. Duke enjoyed winning streaks of 11 (1931-41) and 12 (1952-63) games while the Demon Deacons posted 12 straight victories from 2000-11. Duke has won five of the last six affairs including last year’s 31-23 triumph in Winston-Salem. Wake Forest will be seeking bowl-eligibility for a third straight year when the Demon Deacons visit Duke. It would mark just the second time in program history that the Deacs qualified for bowl games in three consecutive seasons. Wake Forest is 3-1 on the road this season and 2-1 in road ACC games. The last time Wake Forest won three ACC road games in a season was in 2006 when the Demon Deacons went 4-0 in ACC road games en route to winning the ACC Championship. The last time Wake Forest won four or more overall road games in a season was in 2006 when the Deacons posted a 6-0 record. In 2006, the Deacons won ACC road games at NC State, North Carolina, Florida State and Maryland. Wake Forest added non-conference road wins at UConn and Ole Miss. 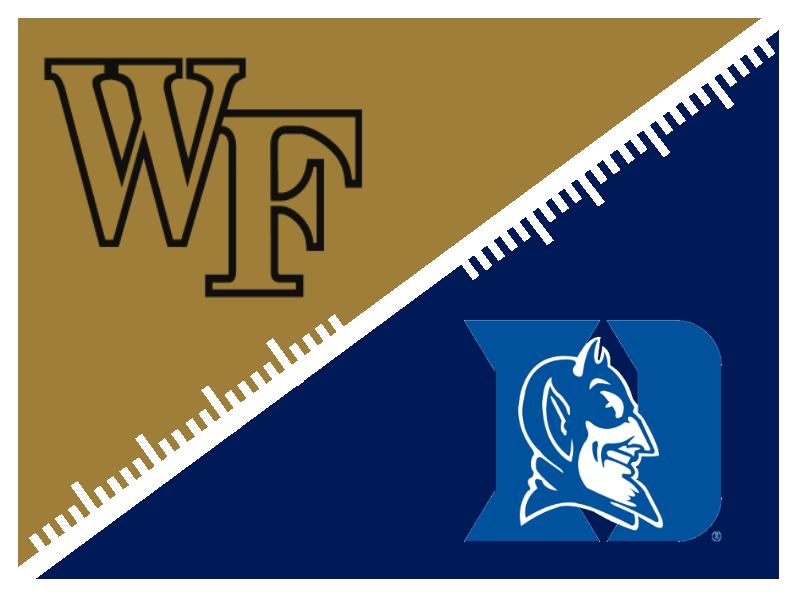 The Demon Deacons are 21-27 all-time in games played at Duke but have won seven of the last eight played at Wallace Wade Stadium. If the Deacons defeat Duke, bowl announcements will be made on or about Sunday, December 2.